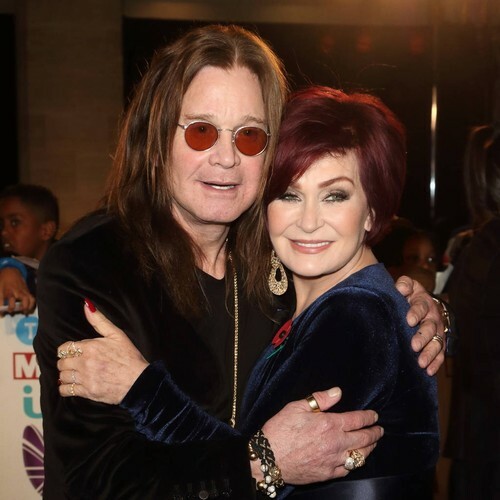 Sharon Osbourne fought back tears as she opened up about the accident that forced her husband Ozzy to cancel his 2019 No More Tours II trek last week. The rocker fell in the middle of the night, dislodging metal rods from his post-all terrain vehicle accident surgery in 2003, Sharon explained on his U.S. show The Talk on Monday (08Apr19). "He, at the beginning of the year, had a bad flu that went to bronchitis, that went to pneumonia," she explained. "And then when he had the flu, he came out of hospital and he had a bad accident at home. "He fell... And years ago, previously, he had a motorbike accident, where he was in a coma for days. And what he'd done was he reinjured his back and neck and shoulders. And all of the metal rods and everything that were put in his body were dislodged. So we had to cancel his year of events." Insisting Ozzy is "good" and "fine", Sharon revealed her husband feels bad about letting his fans down. "He just feels terrible," she explained. "He says it's the only thing he's ever done right in his life, his performing, and he just feels terrible." Last week, Ozzy postponed all his 2019 tour dates in North America and Europe, so he could recover from his latest injuries. The former Black Sabbath star is planning to reschedule the majority of the shows he has postponed to next year (20), with dates beginning in the spring. Announcing the news on Thursday (04Apr19) in a statement obtained by WENN, Ozzy said, "I can't believe I have to reschedule more tour dates. Words cannot express how frustrated, angry and depressed I am not to be able to tour right now. I'm grateful for the love and support I'm getting from my family, my band, friends and fans, it's really what's keeping me going. Just know that I am getting better every day... I will fully recover... I will finish my tour... I will be back!"